In a radical move to lure its prepaid GSM mobile service customers in Mumbai, IDEA Cellular, the pan-India mobile service operator has come up with first-of-its-kind innovative offer with maximum benefit to its prepaid customers to make local own-net callings at lowest and affordable price. 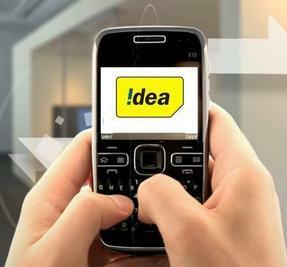 Idea Cellular has introduced new Special Tariff Voucher of Rs.18 which will help idea subscribers to make local calls to any Idea Mobile Number with in Mumbai, Maharashtra and Goa circles just at 10 paisa per minute. All other network local and STD call charges will be applicable as per subscribers existing tariff plan.The STV18 will be valid for 30 days from the date of recharge. Speaking on the launch of New STV, Mr. Sashi Shankar, Chief Operating Officer – Mumbai, IDEA Cellular said ‘By introducing new Idea to Idea Power recharge we reinforce our commitment to provide value for money services to our subscribers. We understand our varied subscriber base and thus come up with best offers for varied sets of people. The Idea to Idea Power recharge will cater to a large section of people whose daily needs of staying in touch and informed will be served. By allowing consumers to pay less and talk more we have successfully been able to generate value and loyalty.